The popular king crab melt with pimento cheese. All photos by David Myers. When we last talked to chef David Myers, he took us on a culinary tour of Tokyo. He's since left his namesake Los Angeles restaurant to launch , his new company, and Adrift, his new restaurant in Singapore. Popupla editorial assistant and Singapore native Becky Cheang got the scoop on a Skype chat. You left Los Angeles and are suddenly Adrift in Singapore. What's this all about? is about an experience. We took over a lobby cocktail lounge in the massive atrium of and are creating a spectacular food and drink concept that is playful, exciting, and interesting on many levels. The menu draws from the flavors and memories of my travels, especially in Southeast Asia and Japan, with great ingredients and spices. It’s a mashup of East and West in my personal style. It’s not fusion: It’s the things I love and the experiences I’ve had around the world. Travel photographs hang in the private dining area. The design of the space has a bespoke feel — a collection of wanderlust moments mixed with incredible details that showcase Singapore's history, like the vintage Singer sewing machine in the host area and iron grates that I understand are representative of Singapore itself. 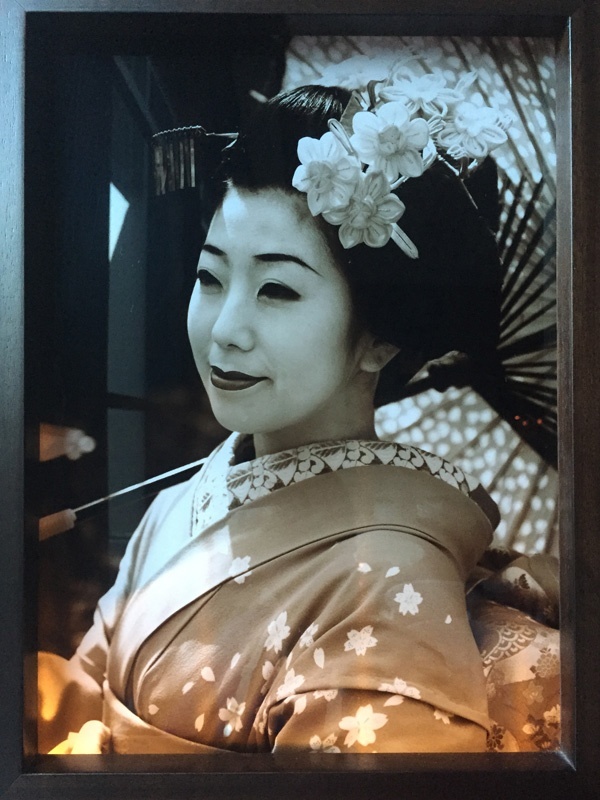 We hung travel photographs on the walls from Japan and Southeast Asia — a geisha, a couple meditating, Ang Kor Wat in Cambodia — just fascinating images. The lounge has leather sofas with mismatched seats, which makes for a cool, residential vibe. The seats along the windows in the main dining room look like swings, and the banquettes have images of the globe broken up into different continents. This is what Adrift is about: a playful place where you come, have drinks over shared plates, lose yourself, and create new memories. Adrift on memory bliss, so to speak. I wanted to create a new brand, a new concept. "Adrift" felt playful, mysterious, alluring. The word can be interpreted in many ways. Yes, there's a negative aspect — a boat aimless at sea — but I think of it in terms of dreamers and explorers willing to take a chance creating something amazing and new. Ricotta toast with Okinawan black sugar and preserved lemon. 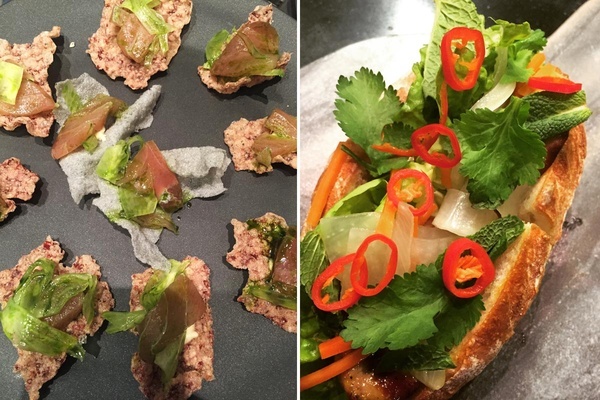 Puffed rice from Indonesia, and foie gras banh mi with herbs from Vietnam. Let's talk about the menu. Any favorite dishes? I love our buckwheat karage chicken. We're serving the cockscomb, cooking it very slowly and then deep frying it, so it's got this nice gummy texture. And with soba with with karashi honey mustard sauce — a spectacular note on the crispy chicken. 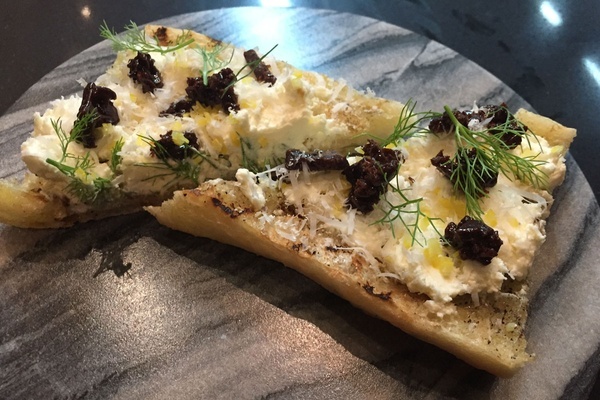 People are also going crazy for our ricotta toast with Okinawan black sugar and preserved lemon. We will be changing the menu as often as we want to. Adrift has no rules — it's meant to be constantly evolving and fun. 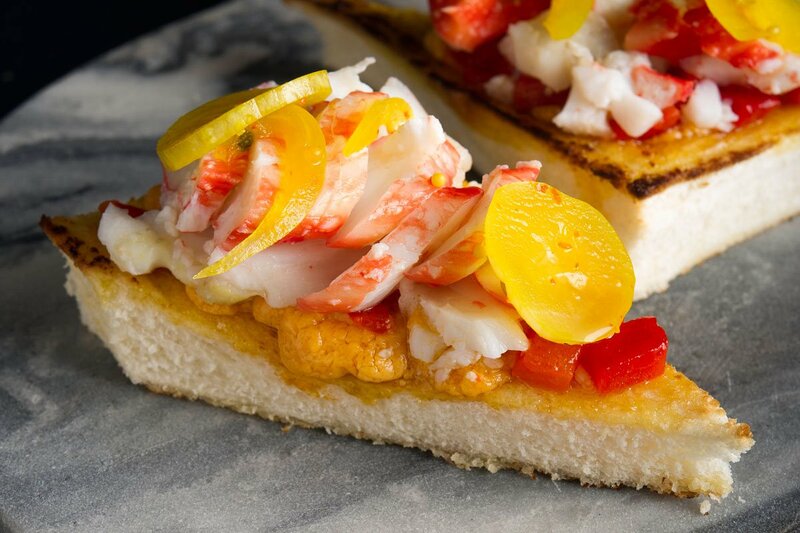 We'll always keep the dishes that resonate with the guests, like the king crab melt, an Alaskan king crab with pimento cheese and battered pickles that's our take on the classic melt. It's phenomenal. In the two weeks we've been open, it's already become a classic. At left, a classic Singapore sling. At right, Harajuku cocktails served Ginza-style. Let's talk about the Ginza-style bar and the cocktails. Sam Ross of Attaboy in New York City consulted on the liquor program and created all the drinks. This is our fifth project together. And, yes, we're doing a popular cocktail style from Ginza. 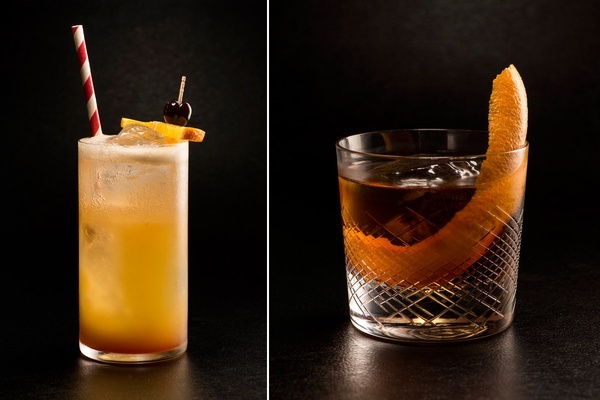 It's centered around fresh fruit — how you craft the fruit and how you make the drinks — and has more attention to detail than the typical Western style of making cocktails. It's very special. The drinks Sam created for Adrift have a real Southeast Asian feel. He's also done great takes on the classics. His Singapore Sling is one of the best versions in town, less sweet than usual, made with Tanqueray gin and fresh local fruit juices. 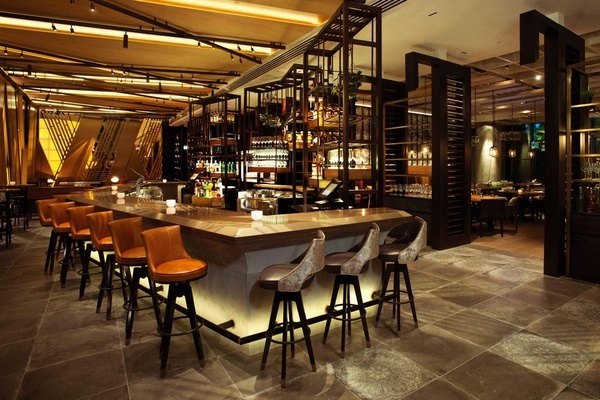 Why did you open Adrift in Singapore, of all places? It feels like I came full circle with Singapore, because it was my first taste of Asia. In 2001, the hotel group I worked for was acquired by Raffles in Singapore — on my second day on the job. The CEO and the acquisition team flew to Los Angeles and asked me to create a new concept for Los Angeles as well as Singapore. Within two weeks, I was on a plane. I'm thrilled to be at Marina Bay Sands. It's pretty epic. 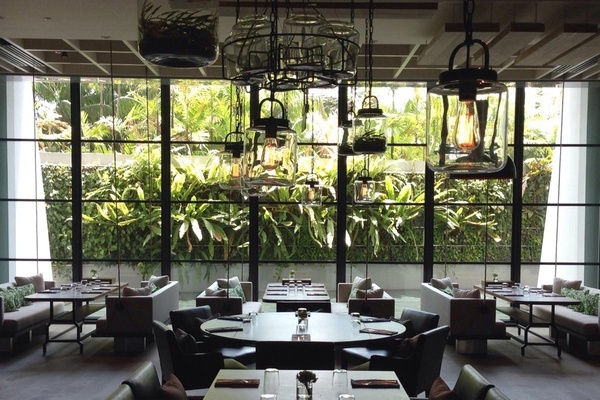 It's amazing how Singapore has evolved over the years — and the incredible, incredible dining scene. 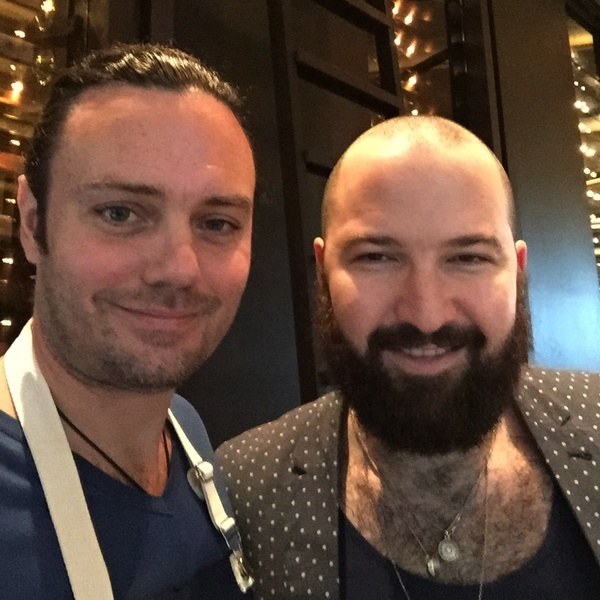 This is a cosmopolitan city with world-class chefs that Marina Bay Sands originally brought in, great restaurants like and , and a new crop of young, hungry chefs doing spectacular food like Dave Pynt of and Travis Masiero of . 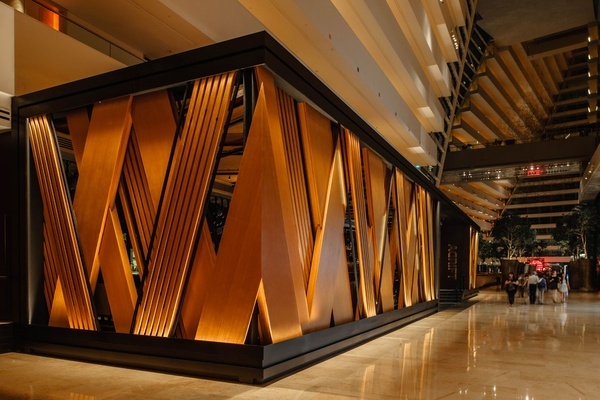 Marina Bay Sands will open restaurants from David Thompson and Gordon Ramsey this year. It's never been a more exciting time to be in Singapore, and also to be at Marina Bay Sands. Do you miss Los Angeles? Well, I still live in LA. I'll be here for the first six weeks opening the restaurant, then I'll be back and forth. My executive chef Dong Choi, who has been with me for eleven years, will run the restaurant day-to-day. What do you do in Singapore when you're not at the restaurant? I love Chinatown and Little India. There's so much happening there: new boutiques and shops and cool bars and restaurants. The new bar is a true Ginza cocktail bar with handcrafted art and fabrics made by local artists in Kyoto. It's really fun. We know you love Japan from the Tokyo food guide you wrote for us. Any other favorite destinations? I love Singapore. The local food is a huge draw. Black pepper crab. Chicken rice. Satay at the hawker centers. I also love Thailand, Vietnam, Indonesia, Malaysia, Sri Lanka. Each has such a unique food style. It's a pleasure to explore. But as a gypsy chef, I'm not limited to Asia — although that's where my heart is. is the chef and creator of Adrift in Singapore, Pizzeria Ortica in Costa Mesa, and SOLA, the patisserie shop with four Tokyo locations. You can follow him on Twitter at and on Instagram at . He travels for the undiscovered gems of Tokyo.